Over the years the Indy 500 has seen many remarkable finishes, and a few controversial ones to add. One of the most controversial came at the end of what a large number of fans consider the last genuine “500” - the 1995 race. But, as they so often are, proceedings were somewhat different to what was generally assumed at the time, especially after taking the time for a better look. The 1995 event was tense enough without the finish controversy. It was held in the knowledge that the following year the race would be part of the newly formed IRL series. A split in the US open-wheel racing scene was dangerously close. One year earlier, a rule USAC installed in an attempt to attract smaller American engine builders to Indy backfired massively when the all-dominant Ilmor and Penske combine used the loophole rule to their advantage to create the monstrously powerful Ilmor 265/E engine, eventually named the Mercedes Benz 500I. USAC had no other alternative than to backtrack by keeping the monster at bay they themselves had allowed to come into existence. It wasn't banned for 1995 but most of its beneficial assets had been taken away. Turbo boost was reduced in two steps, initially from 55 inches to 52 inches. Then sometime later a second step followed with a reduction from 52 to 48 inches. As a result the purpose-design pushrod engine was no longer competitive. This rule change that effectively implied banning had little consequence. Only Ilmor and its new partner Mercedes-Benz saw their 1995 investments go down the drain but at least they had that one victory in 1994. The only other engine suffering was Peter Greenfield’s Greenfield V8, an engine that was entered in 1994 but failed to qualify for the race. It was entered again in 1995 but stood little chance of making the field. From 1996 however, the purpose-design pushrod was banned entirely. That worried few people, as the political situation and upcoming split were of more serious concern, even though perhaps not enough of a concern yet. It somehow appears as if the people involved anticipated that at the very last moment the issue would come to a resolution after all. However, at the time little was done by the powers that be to avoid the split. Practice and qualifying that year was a major surprise. Not so much of a surprise, however, was the fact that the Team Menard Lolas powered by the Menard V6, a derivative of the turbocharged Buick V6 stockblocks, dominated the speed rankings. Unlike the purpose-designed pushrod engines, the stockblock-derived pushrod engines, primarily Buick V6-based, were allowed to retain their 55-inch boost level. 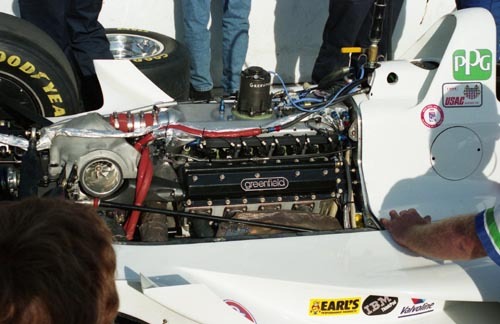 Menard had been working on a purpose-design pushrod V8 as well but once the boost reductions for purpose-designed engines were known the V8 was put aside, the team going back to their V6. It was developed even further, with one innovation that was probably inspired by a feature of the previous year’s Mercedes 500I. That engine had used long inlet tracks fed by a high inlet plenum, giving the engine a fairly high profile. This had forced the Penske cars using them to run with higher engine covers. Menard followed this principle of longer inlet stacks and their ’95 engines were much taller than the older versions. Team Menard had ordered new ’95 Lola chassis too, adapted for the use of the V6. Because of the higher engine, the engine cover was raised, appearing like a dome behind the rollbar. At first sight it appeared as if rollbar and dome could have been more streamlined and thus more functional but since that wasn’t the case the concept as it was must have worked well enough at the very least. 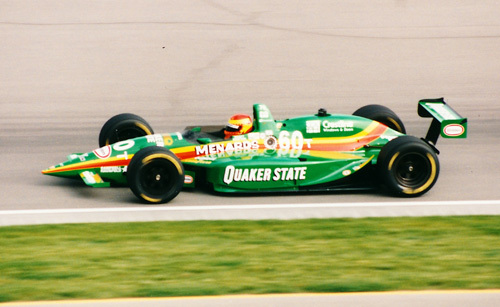 People referred to these ’95 Lola-Menards with the nickname “Humpback whale” (1, page 13), and with reason. But perhaps looking less elegant than the quadcam racing V8s using regular Lolas, the Humpbacks were the fastest things on the track in practice that year. 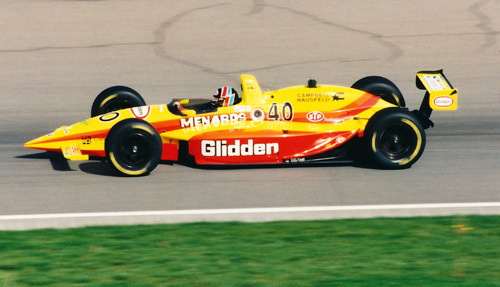 The pole battle would be an affair settled between Menard’s primary drivers Scott Brayton and Arie Luyendyk, Brayton eventually winning it. Pole winner Scott Brayton in his Lola-Menard T95/00. It is obvious why it was nicknamed Humpback. Nothing however was as sensational as the fact that two drivers failed to qualify for the race, and perhaps even more shocking was the fact that these two drivers drove for the same team. 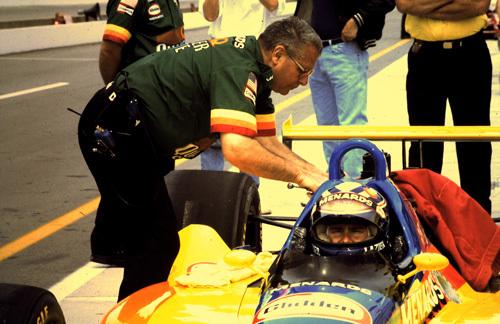 Last year’s winner Al Unser Jr and his team mate Emerson Fittipaldi were unable to make their Penskes work. The hastily hired back-up Lola-Mercedes and Reynard-Mercedes cars didn’t help their cause either and Team Penske, the team that the year before slaughtered the competition with an 'unfair advantage' was on the receiving end now, as they failed to qualify for the race. Often Penske's failure is credited to the fact that the team was wrongfooted by their 'miracle engine' the year before. According to this theory the entire PC23-500I package wasn’t handling that well at all (a confirmed fact) but the massive power and resulting straightline speeds had been making up for the handling handicap. The team allegedly failed to understand that the handling problem was a fundamental chassis problem instead of a flaw assumed to be related with the 500I's engine installation. 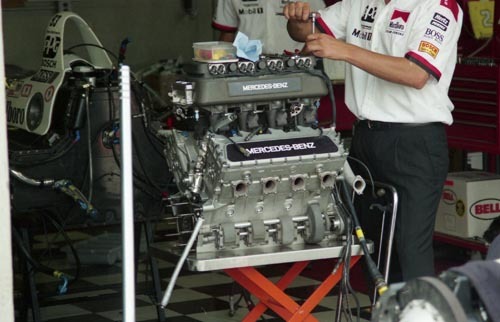 Some 1995 facts seem to support this theory: Stefan Johansson, driving a 1994-type Penske PC23 powered by a regular quadcam Ilmor-Mercedes engine, was also unable to bring his car up to speed and also complained of handling problems. Before getting to the eventual controversy of the 1995 race, something needs to be told. USAC has often been criticized for the way they dealt with the situation we will discuss here shortly. But very little is known and published about another controversy that took place during the practice period of May 1995. A controversy that caused USAC to act and react carefully and diligently in order to avoid a painful situation instantly but one that could also have dire consequences for the Indy 500's immediate future and that of the newly created IRL. It goes beyond the scope of this article to deal with this particular controversy. But it needs to be told before dealing with our main subject, as USAC was confronted with a fishy situation and managed to keep it away from the eyes of the public. Because of USAC's decision to handle this particular issue in the way they did, it wasn't what made the outcome of the 1995 race so controversial. Another controversy took care of that, one so visible that it simply couldn't be ignored. USAC got this one thrown in its face for everyone to see, and it was forced to react in a very public way as well. Less than a third of a lap into the race, and it had already become a near disaster. A first-turn accident eliminated four cars and at first sight had killed one driver: Stan Fox’s Reynard became airborne after a heavy hit against the retaining wall, the front-end of the monocoque disintegrating around him and exposing Stan to a 200kph crash. Incredibly enough he survived the impact. His body remained in fairly good shape but Fox nevertheless suffered massive head injuries from which he was never to recover fully, even though the recovery he did manage was nothing less than miraculous. Then, on lap 36, Jacques Villeneuve took the lead but he and his team were unaware of the fact. Thus, when one lap later a yellow came out for debris on the track, the pace car had to pick up Villeneuve. However, Jacques was concerned about his fuel situation and didn’t realize the pace car wanted to get ahead of him. Only after passing the pace car twice he noticed the signals he had to remain behind it. Having made his pit stop he and his team were informed by USAC that because of passing the pace car they were given a two-lap penalty. From then on, Jacques drove a steady race but luck also played into his hands with the yellows. On lap 66, he gained back his first lap, and on lap 116 he was back into the lead lap again, even though it wasn’t good fortune all of the time. At a little over three quarters of the race - while leading! - he intended to come in for a stop, then saw the yellows flashing on and instantly returned to the track, realising that a stop under full yellows would cost him less time than a stop under green. It was that kind of clever thinking that allowed him to make the most out of a fortunate opportunity he was handed during the race. Besides that, with the track gone yellow the pitlane would be closed, so a stop would have earned him another penalty. Yet another yellow followed. The die for the 1995 controversy was cast. When the pace car switched off its lights on the back straight, indicating that the restart was to take place the next time past the finish line, the pace car got away from the field and headed for the pitlane entry. Control over the field was thus handed over to leader Goodyear. Goodyear was obviously determined to ensure that Villeneuve could not do the same job on him that he had done on Pruett a few laps earlier. Villeneuve was keeping very close to Goodyear, with Salazar and Fittipaldi also remaining close behind. Was Goodyear aware of all these cars in close pursuit and did it put him under any additional pressure? During most of the restarts, the earliest place that drivers pick up speed is in the short chute between turns Three and Four. On this restart however, Goodyear floored it while having yet to enter Turn Three. Watching it on TV, it almost appears as if he applied the power so brutally that his rear tyres left tracks on the asphalt. (5) Such is mentioned in the Hungness yearbook too. (1, page 73) However, Villeneuve had remained sharp and kept on Scott’s tail going through Three. Because of taking up speed so early, Goodyear and Villeneuve gained rapidly on the pace car that was still trying to get away from the field. TV coverage of the restart shows how Goodyear is rushing through Three while the pace car can be seen just having entered Four. Still in Turn Four, Goodyear passed the pace car that was still on the actual track. Villeneuve noticed in time that the pace car was ahead of him and, remembering the results of what happened earlier in the race, he hit the brakes. This all happened while he had also already entered Turn Four. This caused third-placed Eliseo Salazar to almost run head-on into Villeneuve but nothing happened, other than Salazar losing his third place to Christian Fittipaldi. Fittipaldi almost passed Villeneuve too, but Jacques managed to hang on to his second place. But more importantly: apart from Goodyear, nobody else passed the pace car. With a driver passing the pace car, USAC was brought in a position in which they simply had to react. Whatever you can say about USAC’s actions that day, at least they were consistent in applying their punishments. It had been a busy day already, primarily punishing drivers for speeding in the pit lane, in addition to Villeneuve's pacecar-related penalty. Goodyear and his team were informed of the infringement (passing the pace car before the green) soon after, and the punishment was clear: they had to serve a stop-and-go penalty. Which effectively meant that Goodyear was forced to give up the lead, and with it, the race. At the start/finish line Goodyear was given the black flag, both on lap 193 and 194. His last chance to obey was when he got on the straight next time around. He refused and kept on racing. As a result, USAC stopped scoring him and from then on he was out of the race, to be classified with 195 laps driven. Goodyear kept on racing and was the first to cross the line after 200 laps - but he wasn't given the chequered flag. As Villeneuve had been declared the leader since lap 195, he got the chequered flag and was declared the winner, unofficially for the time being. Afterwards, Goodyear stated that when he passed the pace car and looked up, the green lights were on and thus the pass had been legal. He felt he was the true winner of the race. Right after the race he went on to explain that taking the penalty was no option since he had done nothing wrong. In fact, had this been proven after all, he would have lost the race for certain if had taken the penalty. Villeneuve on the other hand declared that he knew that even under green the pace car was not to be passed and that as far as he had seen, Goodyear passed the pace car before the green. Almost instantly, Villeneuve's victory was branded controversial by some. These people proclaim Scott Goodyear as the rightful winner since he wasn't fully responsible for passing the pace car and, in fact, was screwed by it. According to these people, the pace car should have cleared the track much faster than it did. Now it must be said that there were more complaints about the way the pace car was handled that day. It played a role earlier in the race when it failed to make clear to Villeneuve that he had to remain behind the pace car. It certainly wasn’t the best-ever outing of a pace car during an Indy 500. In that case the claim that the pace car was at fault becomes difficult to support. On the other hand, Goodyear's restart was the only one in which the leader of the field started to build up speed before even entering Turn Four. So it's starting to look more likely that Goodyear caused his own demise by bringing the field up to race speed for a green flag that was still nearly one third of the track length away. Goodyear simply put himself in an awkward position. Now, if more drivers had passed the pace car Goodyear might have got away with it. Even in case the pace car itself had been primarily responsible for his transgression the rest of the field avoided the same sin, thus proving that Goodyear hadn't been forced into an unavoidable error. Ironically, the first man behind Goodyear, heading the rest of the field - and thus the first of the drivers who remained behind the pace car - had earlier got into trouble with the pace car himself. What if mercy had been shown to Goodyear? USAC could have shown mercy with Goodyear to avoid him losing the race at the final hurdle, with no chance of making up lost ground anymore. However, inconsistent application of the rules had already caused enough controversy in the past. Two races in particular stand out in this. Sure enough, Jim Hurtubise was blackflagged after leaking oil during a pit stop on the 101th lap. There has always been some debate if the spill was caused by a vent running over after the car came to a sudden standstill instead of it being a proper malfunction. Later on in the race however, the leading Watson roadster of Parnelli Jones began leaking oil out of its side tank. After a discussion with car owner JC Agajanian, Fengler allowed Jones to continue on the argument that it appeared the car had stopped leaking oil after the oil level had fallen below the crack. Jones went on to win. The second occasion was 1981. Leader Bobby Unser left the pits under yellow but on the inside of the track passed a number of cars before blending in line. Second-place finisher Andretti and his team owner Pat Patrick filed a protest that was granted. Unser was penalized a lap and lost the race. When Unser's team owner Roger Penske filed a protest against that decision it turned out that Mario had done something similar, although in the process passing fewer cars compared to Bobby. In court the victory was handed back to Unser. 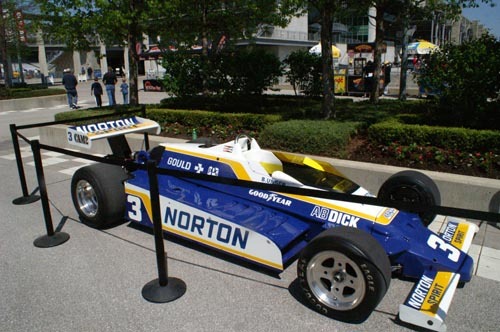 Bobby Unser scored his third and most controversial Indy victory in 1981 with the Penske-Cosworth DFX PC9. It will always remain a question whether justice was done or not, but both these situations had caused a lot of controversy and put USAC in a spotlight they didn’t appreciate at all. What it does prove, though, is that USAC was capable of showing mercy to race leaders breaking the rules in the closing stages, risking them to lose the race if the regulations had been applied as usual. If USAC had shown mercy with Goodyear an entirely new situation would have occurred, since another driver had been penalized for passing the pace car earlier in the race. Also in this case it could be argued that the pace car officials' behaviour had influenced the victimized driver. Of all people, that particular driver was the one following Goodyear at the time of his crime. Also, he was the first driver who avoided making the same mistake, thereby showing that Goodyear made an avoidable driver error. So if Goodyear hadn't been penalized for passing the pace car, it is highly likely that Villeneuve's team, Team Green, would have filed a protest on the grounds of inconsistent application of the rules. And they would have had a case! The pace car certainly played its part in the messy pick-up of leader Villeneuve, and Team Green could have made a successfull plea on the basis of the situation being so confusing that their driver was bound to make an error. Such a protest could have had several outcomes but it would almost certainly have led to a situation reminiscent of 1981 when the protests forced the decision on who actually won the race to be postponed for 138 days. The disqualification of the race winner, the announcement of a new winner and the reinstatement of the original winner had caused a lot of bad publicity. IMS, USAC and many more people couldn't afford a repeat of the 1981 situation. The mess of 2002 was another classic example of what happens when the winner has to be decided behind the green table. In that case, Helio Castroneves' win was only upheld after an appeals hearing on July 2, 2002. But let’s assume that USAC had displayed mercy on Goodyear and Team Green indeed protested the race results. If USAC had decided to turn down the Team Green protest and leave Goodyear the winner, it would have caused the exact opposite outrage: a number of fans would have labelled Goodyear’s victory as being controversial and at the expense of another driver. Just a little thought on how both drivers' careers would have changed. 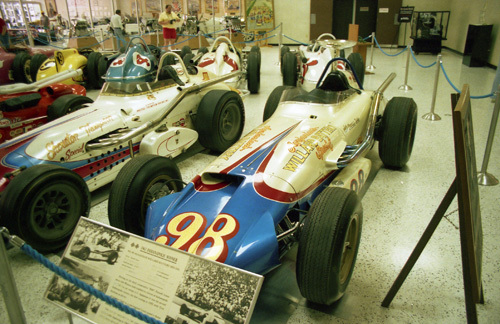 What would have Goodyear's future had he been a 500 winner? Would Villeneuve's career have been affected had he not been a 500 winner? It certainly added to the hype when he went to Formula One the next year. We can only wonder. What if USAC had followed the 1981 line of events, agreeing that both drivers who finished first and second made similar punishable infringements? A interesting scenario could have been inspired by what happened to Bobby Unser in 1981, being handed back the victory but getting a massive financial penalty. But who cared about a fine if they would get an Indy 500 win in return? In two other highly interesting outcomes the eventual result would have been the same. The first one is USAC deciding on penalizing Goodyear to the extent that he would lose the victory - by a time penalty, a single lap or, in the case of Villeneuve, a two-lap penalty. Such a decision would have handed victory to Villeneuve. The other alternative would be that since Goodyear had got away with a pacecar-assisted yet avoidable driver error USAC had no other option than to clear Villeneuve as well! Now this would have resulted in a huge mess. Villeneuve would have remained in the lead lap, turning it into an entirely different race. From the moment Villeneuve had gained back the first lap of his two-lap penalty, he was effectively leading. This means that the pace car should have picked him up as the leader at the very first yellow that followed, if not every other yellow to come. It would be quite a challenge working out how different the race would have been. An interesting job for anyone with access to the 1995 records of the Timing and Scoring Dept.! In fact, Villeneuve made up two laps on the leaders but if he hadn't been penalized could he have gained two laps on everyone in a race that would have been developing in a different direction from lap 40 on? And what about the other teams? If they had accepted the overturning of Villeneuve's penalty, how would they have raced? What kind of strategy would they have put up, with the knowledge that Jacques wasn’t way back in the field but right up with the leaders? USAC could have nullified all those thoughts, accept the race as it took place and simply overturn Villeneuve's penalty. This would have meant that Villeneuve, at the time of the restart, had a two-lap lead on the entire field! Since no-one managed to lap him twice he would have won the race anyway - but two laps earlier than he eventually got the chequered flag! So the finishing order would have had to made up from the moment Villeneuve crossed the line for the 198th time. This would have had little effect on the overall results. Only Mauricio Gugelmin and Robby Gordon swapped places (5th and 6th) on lap 199. Yet it would have changed one statistic on the stockblock-based engines. 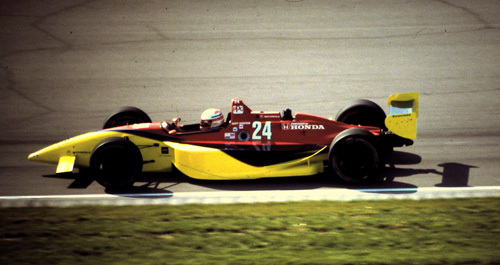 Since Lola-Menard driver Arie Luyendyk managed to overtake winner Villeneuve just before Jacques got the chequered flag and got back into the lead lap, Luyendyk was permitted to go one more lap and was flagged off as the last driver to complete the full racing distance. Such would not have been the case if USAC had decided on giving Villeneuve his two laps back, with the race results being declared on the situation two laps before the chequered was eventually given. In that case Al Unser Sr would have remained the only driver ever succeeding in completing the entire race distance in a stockblock Buick V6-derived engined car (1992, 3rd place). 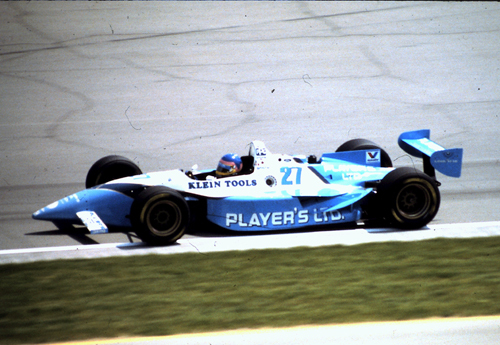 Luyendyk became the second and last driver to achieve that feat. 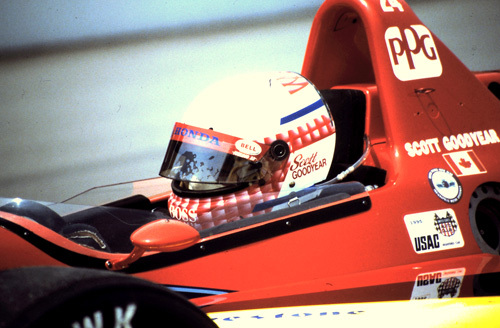 His 200th lap was likely Luyendyk’s financially most rewarding lap of the race. Because of it, Arie qualified for getting a share of the prize money divided among all drivers completing the full race distance. Which must have been way over $10.000, meaning it was well worth the attempt to make up that one lap on Jacques. Claims that Scott Goodyear was the rightful winner of the 1995 Indy 500 and was screwed by USAC and the pace car in particular appear to be very shaky at least. Screwed by USAC and the pace car? At first sight: yes. But looking into the situation thoroughly it becomes obvious that he created his own problem by speeding up for the restart too early. More importantly, he wasn’t forced into an unavoidable error. He could have corrected his mistake but in the heat of the moment, defending what was at stake for him, he sealed his own fate. Leading at Indy, so close to actually winning the race, he is fully excused for making the error. Yet it wasn't acceptable. Given what had happened to Jacques Villeneuve earlier on, USAC had little choice but to penalize Goodyear as well. Considering that the pace car driver had not been acting unusual when leaving the field for this particular restart, the penalty was correctly applied. Scott Goodyear himself was responsible for making up ground on the pace car and passing it, since he himself decided on an unusually early moment to pick up speed. Curiously enough, because of the punishment, the race went to the other driver penalized because of an incident involving the pace car, and who had made up no less than two laps on the leaders. As already indicated, it remains almost impossible to predict what Villeneuve's race position would have been had he not been penalized. Would he have gained those two laps on the rest as well, maybe even yet another lap? Or would he have remained at just a single one? It is however highly plausible that Jacques would have gained at least one full lap over the entire field, which would have made him the uncontested winner. So perhaps it is justified to say that Goodyear’s unforced error that cost him the race handed victory back to the driver who similarly made an unforced error that would have cost him an almost certain win. It was perhaps rough on Scott Goodyear but it looks as if by penalizing him justice was done. The driver who had the race in the bag but almost threw it away himself won after all. One could also say: Villeneuve's performance that day was utterly dominant but he made a mistake and threw away victory. On his own merits he managed to salvage at least second place. But luckily for him, the one driver who could have benefited from Jacques’ error threw away the race himself, handing it back to Villeneuve. 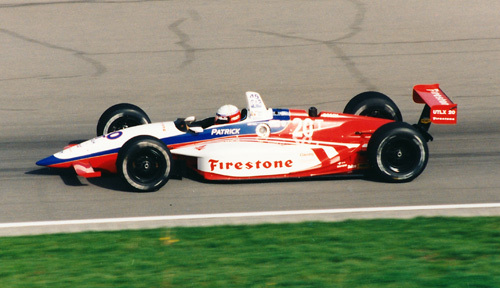 Based on his performance that day, Jacques Villeneuve was among the strongest, if not the strongest driver on the track and his victory was well deserved. It wasn't flawless, by all means, but well deserved all the same. Now... HOW did Villeneuve make up those two laps? A question for many regarding the outcome of the 1995 Indy 500 is how in the world Jacques Villeneuve succeeded in getting back onto the lead lap and from there up to second place? In January 2018 I was made aware of a few posts in a forum topic in which Jacques' performance was questioned. Two people came up with the answers. I found these explanations so clear and revealing that I want to reproduce their two posts. I'm re-watching the 1995 500 from the satellite feed and the Brazilian broadcast (to compare the two). When Villeneuve was given the 2-lap penalty, he was running 3rd behind Andretti and Goodyear. In the stint following the penalty, Andretti tagged the wall, so effectively the only lead lap car ahead of Jacques was Goodyear. Scott Sharp crashed [this was on lap 74, HG], Goodyear pitted under the yellow, and Villeneuve went past to restart ahead of the race leader. A lap later Johansson hit debris and caused a yellow, so Jacques got the rest of the first lap back. Around lap 120, Gugelmin, Goodyear, Vasser, Gordon all stopped under green, while Villeneuve stayed out. Ribeiro stopped on track a couple of laps later, which allowed Villeneuve to stop under yellow having made up the second lap. I still think Villeneuve was given an unnecessary, rather draconian penalty in the first place. So many people remember the pace car issue at the end of the race, but few remember the pace car mess that got JV the 2-lap penalty. A yellow came out during a lively sequence of green flag pit stops, and naturally the pace car comes out to pick up the leader. A yellow coming out during green flag pit stops is almost always the most unfortunate and inopportune time as we all know. A small handful of cars (JV included) hadn't pitted yet, and were essentially stuck out on the track because the pits were closed until the pace car bunched up the field. The procedure for picking up the leader back then clearly wasn't as refined as it is now. I believe that JV had no idea that he was the race leader at that moment, and did not know that the pace car was trying to pick him up. That's why he slipped by it twice. He definitely wasn't trying to do it for advantage. In fact, he was running desperately low on fuel, as were a couple others. As for how they handed the penalty... studying the T&S on the screen and the final printouts...it looks pretty clear that they simply subtracted two laps manually from his tally. He went from running 3rd on around lap 42, to 27th two laps down just a few moments later. And they did not bring him into the pits old school style and make him sit for the two laps. One little-noticed nugget about how JV got his first lap back was mentioned by SteveK51. Since all they did was electronically delete two laps from JV, that enabled him to stay where he was as far as track position. As mentioned, he was running third at the time, so that turned into 27th place, two laps down, but still really close behind to the race leader, and he was running race leader speed, not slow as one might expect from a car running two laps down, nor was he mired in traffic. He never really felt the full brunt of being two laps down, because Michael crashed, and the field shuffled, so JV easily got the one lap back on that ensuing caution. Added to the site with thanks to these two people for their research on this subject. A book that was somewhat tainted due to the publisher’s problems with the Indianapolis Motor Speedway Corporation, which to some extent the publisher also used to vent his stance concerning these problems. Its primary objective - coverage of the Month of May - was still done with the quality the Hungness books are known for. Of the two yearbooks in existence at the time, it remains by far the best, adding more sidenotes and side stories. A book issued by the Speedway itself. Now how can that be critical of any IMS-related person, affair, even if this would be justified? It uses the rich wealth of information gathered by the ever faithful and qualified IMS Media staff but lacks the feeling of independence and leaves something of an impression it doesn't matter if the book weren't a bestseller since the Corporation has so much more revenue coming from other sources. For its additional information and quotes not used in the Hungness book, however, it is a worthwhile addition for people for whom money is no object if it comes to building up a database on the 1995 race. If one yearbook is sufficient it loses out against the Hungness. Nice reading book with lots of info about the British influence at Indianapolis, both on a personal and technical level. It wouldn’t surprise me, however, when American readers would find the book too patriotic, as it forms a sickening confirmation of how for some decades now American ingenuity has been lacking severely at IMS. Series of articles covering the car that probably created the biggest upset in the history of the Indy 500. Just watching the race and knowing where to look for enables you to put some of the myths and accusations about Race Day 1995 aside. Many thanks to Bill Ashby from Indianapolis, IN (USA) for supplying most of the pictures used here. Also many thanks to the Indianapolis Motor Speedway Photos Dept. for the permission to use some of their images.